Fort Lauderdale, FL – The price of gas continued a downward trek during the past week, according to the U.S. Energy Information Administration. Prices fell in nearly every region, except along the west coast. However, price declines were weak in most locations. Only the midwest and lower Atlantic states enjoyed any significant declines, at eight cents and three cents, respectively. That helped bring the national average price for a gallon of regular unleaded down to $2.33, according to the E.I.A. report. Diesel prices held stead this week, according to the E.I.A., although declines were to be found in minuscule amounts in most regions. Price went up about a penny per gallon in the Rocky Mountain states. 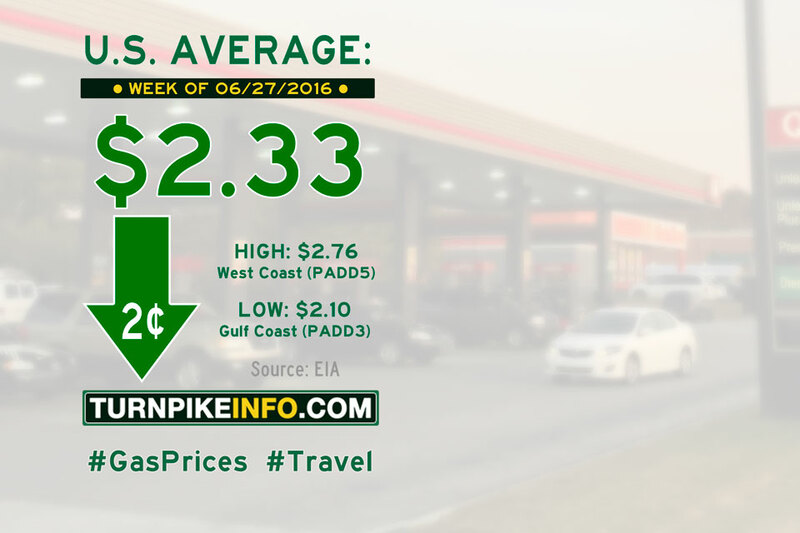 Meanwhile, the national average price for diesel remained at $2.43 per gallon.